Does KU have a pre-law major? Yes! Every major offered at KU is a pre-law major because it doesn't matter what you major in for law school. As you can see from the KU pre-law stats (PDF), students with all kinds of majors get into law school. Seriously, what should I major in? No specific major is required or even recommended for law school. Generally, the best major is the one that you are interested in because it's more likely to result in a higher grade point average. You are free to choose whatever major you wish, but admissions committees also consider the rigor of your undergraduate academic experience. Do not be afraid to challenge yourself. Law schools like their incoming class to be academically diverse, so it's important that you have done well in a rigorous course of study. 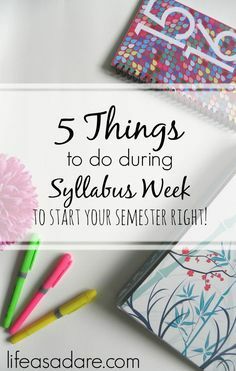 Most people take at least a year off before they begin law school, so it may be a good idea to take a major that can help you prepare for an alternative (or at least temporary) career, should your interest in the law wane or if you merely decide that you would like to take some time to work in between college and law school. Will a double major or minor increase my chances of getting into law school? A double major is fine if you wish to complete one, but it is essentially irrelevant in terms of law school admission. What if I struggled academically early in my college career? Even if you struggled academically early in your college career, law schools will always consider favorable trends in your grades. You will have ample opportunity to explain a wayward semester or stray bad grade on your applications. Are there any specific courses I should take? You should take challenging courses and those that interest you, but no specific courses are required or recommended. That said, the American Bar Association recommends numerous skills and values as helpful in preparation for a legal education. Consult the ABA network for more information and to assess your areas of strength and challenge. KU offers a number of courses related to law and public policy (PDF) that may help you determine whether you wish to further study law, but these should not be taken with the expectation that they will give you an extra advantage in law school. No. However, learning a foreign language can sharpen analytical skills and increase understanding of the English language, which are both important assets for law school.